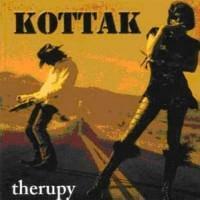 immy Ratchitt (alias Scorpions-drummer James Kottak) and his band release their latest work entitled "Therupy". James Kottak stated, "I´m a punk-n-roller, dude!". And these words perfectly characterise this diversified album, which absolutely contains pop-orientated tracks with songs like ´Song That Won´t Go Away´ or ´I Miss You´ as well as a punky coverversion of the Scorpions-classic ´Holiday´. KOTTAK is ready again! One year after the third studio album “Rock &amp; Roll Forever”, SAOL / H’Art / Zebralution will release the bands fourth record called “Attack” on May the 27th. Now summer can definitely come! KOTTAK’s third album ‘Rock & Roll Forever’ is the perfect soundtrack for a cozy cabriolet trip through the streets while sunbathing.